Bernie is the Managing Director of Pepper Asset Finance which he established as a start-up in 2014. He is also a member of the Global Management Committee of Pepper Group. Bernie was previously Managing Director of Capital Finance Australia Limited and a member of the Executive Board for the Lloyds Banking Group businesses in Australia. Following the acquisition of Capital Finance on 31st December 2013 by St George Bank, Bernie headed up the St George Asset Finance Division, with $18 billion in assets, 0.5 million customers, and $8 billion of new lending annually. Bernie is a Master of Applied Finance and has completed the Advanced Management Programme at INSEAD. Helen Gordon is the Chief Executive Officer of AFIA. Helen has been part of the Association for several decades in various capacities and together with her Team advocates on behalf of more than 100 leading providers of consumer, commercial and wholesale credit on a variety of laws which impact their operations. This has seen her involved in lobbying government at both the Commonwealth and State levels to ensure their policy development and regulation reform will have a practical and relevant application for the finance industry and its customers. Helen is a member of the Finance Industry Council of Australia and the AFIA representative on a range of government consultation groups including various Commonwealth Treasury and ASIC Stakeholder Forums. She utilises her legal background together with her qualifications from the Australian Institute of Company Directors and involvement with Women & Leadership Australia in her role. Sylvia Terry leads the Asset Finance Product division of the CBA. She has over 17 years banking experience across risk, distribution, product, and strategy roles. Sylvia is passionate about the role that technology has and is expected to have in business banking, as well as how lending to small to medium businesses can be more customer centric in a digital economy. Sylvia has a Law degree with Honours, and Commerce degree from the University of Sydney. In addition she has her Executive Masters of Business Administration from the Australian Graduation School of Management. Cameron Poolman is the Chief Executive Officer of OnDeck Australia. Since 2008, OnDeck has originated more than US$8 billion in loans to over 80,000 small businesses across the USA, Canada and Australia. Prior to launching OnDeck in Australia he was the founding CEO of GraysOnline, one of Australia’s largest eCommerce groups. He grew the company to over $500 million in online sales. Before this Cameron worked as an Engineer and Production Manager at Eveready Australia from 1991-1996. Cameron holds a Bachelor of Engineering (Mechanical) from The University of Sydney and a Masters of Business (Marketing) from UTS. Jon joined Macquarie Leasing in 2006 and was appointed as Managing Director in 2014. In early 2017 he was appointed as the Regional Head of Macquarie Corporate and Asset Finance which includes Macquarie Leasing as one of its businesses. Jon has almost 30 years’ experience in the Australian and New Zealand markets. Under his leadership, the business has experienced considerable growth to become a major player in the Australian vehicle and asset finance industry. Keith Rodwell joined Challenger Ltd in 2012 and together established 255 Finance in 2013. Previously, Keith spent 14 years with GE Capital in Australia and Asia with a predominant interest in equipment finance. Keith was previously a Council member, including one year as Chairman, of the Australian Equipment Lessors Association and is currently a Director of AssetSecure Pty Ltd, a leading provider of working capital solutions to mid-market companies. Keith has also held a number of directorships and board observer roles for companies and not-for-profit organisations. Keith has a Master of Commerce and a Bachelor of Economics (Econometrics). Ofir joined Latitude Financial Services (formerly GE Capital Australia and New Zealand) in September 2003. Ofir has held several Compliance roles with GE Capital and is currently the Head of Compliance and Operational Risk for Latitude Financial Services and has responsibilities for the Compliance, Operational Risk and Enterprise Risk Framework and program across Australia and New Zealand. Ofir has experience in designing and implementing Compliance frameworks, enterprise risk management, managing relationships with regulators and implementing significant regulatory reform. Ofir has a Law degree with Honours and a Commerce degree from Monash University. 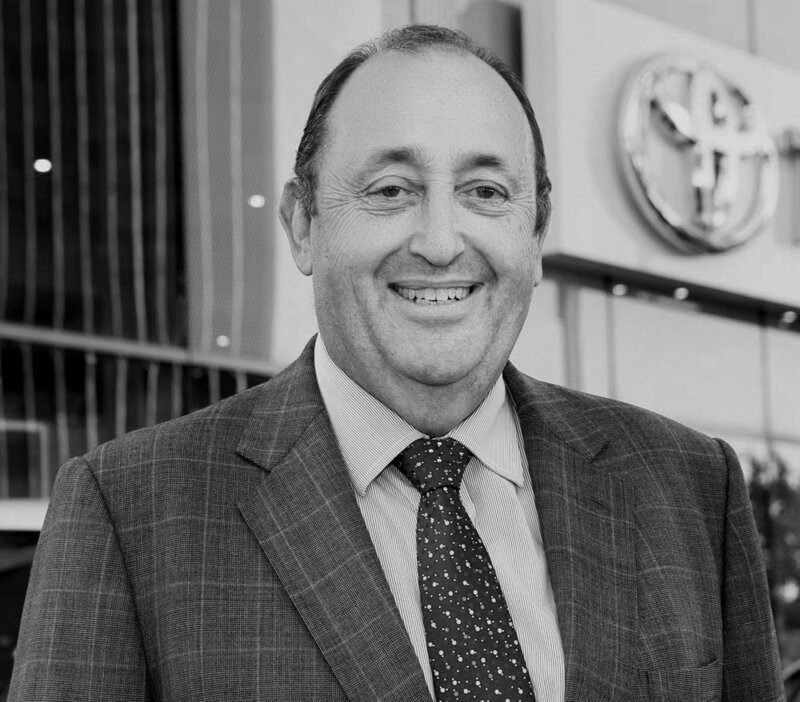 Peter Jones has over 30 years’ experience within the Australian automotive sector, including across the Toyota and Nissan brands. Peter currently holds the position of Managing Director of Nissan Financial Services Australia & New Zealand. Peter is also the Managing Director of Nissan Australia’s Casting Plant based in Victoria, and is a member of the Board of Directors of Nissan Australia and other associated Nissan companies. He is a graduate of the Australian National University and Monash University (with a masters in practicing accounting). He is also a member of the Australian Institute of Company Directors (GAICD). Phil is the National Manager Auto Finance, St George Bank & Bank of Melbourne – this is within the Westpac Banking Corporation Business Banks Specialist Finance Team. Phil leads a National team that provides Retail Consumer Auto Loans, Retail Business Auto Loans and Floorplan Business Lending to Motor Dealers. Phil completed two Masters Degrees including a Masters of Commerce and a Masters of International Business. Phil is also a Trustee of the Sydney Cricket and Sports Ground Trust. From 1999 to 2011, Phil was a professional rugby player contracted with NSW Rugby Union and the Australian Rugby Union. Ed is General Manager of one of Australia’s leading fleet management organisations – Toyota Fleet Management (TFM), coming to Toyota Finance Australia (TFA) in 2005 with over 20 years senior executive experience in Chartered Accountancy, Banking & Finance, Fleet Management and Salary Packaging. He is a past chairman of the Australian Fleet Lessors Association (AFLA) and joined the Australian Finance Industry Association Ltd (AFIA) board in 2018. His responsibilities encompass Strategy and Product Development, Sales and Customer retention, Fleet Lifecycle Operations, Credit and Risk Management and more recently Connected Mobility. Ed and his team has been working with members of the Toyota Group (Europe, Asia and Americas) in the development of their fleet management initiatives over the past 3 years.